This fruit salad combines chopped peaches, strawberries, bananas, and red and green grapes. The fruit is tossed with a simple fresh lime and pineapple juice dressing. Feel free to use some other fruits. Raspberries, blueberries, chunks of melon or mango, orange slices, and sliced kiwi would be wonderful as well. 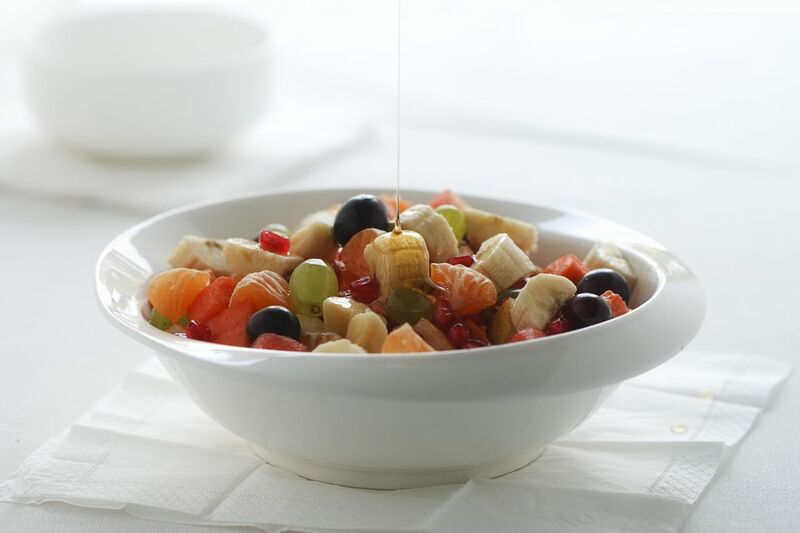 Combine chopped and sliced fruits in a large serving bowl; toss gently. Sprinkle with sugar. Whisk together remaining ingredients in a small bowl or a 1-cup measure. Pour dressing mixture over fruit and toss gently to combine. Cover and chill the fruit salad thoroughly before serving.